With all of Google’s latest algorithm updates, it’s hard to know how to keep your site performing well, or how to increase your site’s visibility in according to the new algorithm updates released. What are some of the factors you can address by improving your site’s performance? In a study released by SEMrush, there were 17 factors that emerged as the most important ones. Let’s explore the most important SEO hacks you can employ to boost organic rankings and future-proof your SEO, from increasing direct website traffic to decreasing bounce rate. Direct traffic is one of the most important ranking factors in 2018. What is direct traffic, exactly? When a user types in your URL or accesses your site from a bookmark, it is recorded as direct traffic. 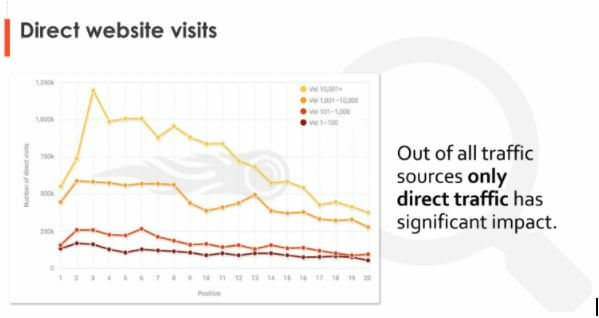 Direct traffic is important, significantly impacting the top 10 Google positions. Why is direct traffic important? It tells search engines that users are familiar with your brand, and visit your website repeatedly for information, services, products, or to access a member portal. However, true direct traffic can be slightly inaccurate. 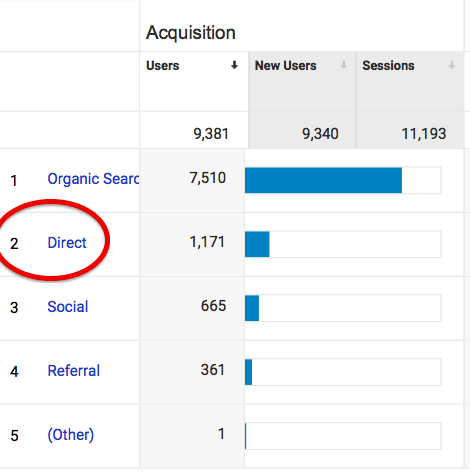 Google Analytics only reports traffic as “direct” when no data on how the user arrived at your site is known. For instance, accessing your site through dark social channels or via emails. Employees who visit your website often can skew direct traffic, too. It is best to exclude employee IP addresses, especially SEOs and content marketers. This will help you get a clearer picture of your direct traffic. 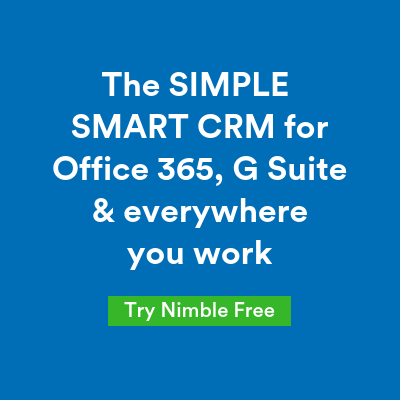 How Do I Increase Direct Traffic? To increase direct traffic, serve up an exceptional user experience. Users will be far more motivated to revisit your site via URL or bookmark when you provide quality information on a site that is easy to navigate. “Your website provides that crucial first impression of your company allowing only a few minutes to win a client over or turn them away,” Casey Weisbach explained in a Forbes article. Attending events and conferences is another powerful direct traffic tactic that will give your site a nice spike in organic traffic. Once users begin visiting your site, your goal should be retention. Time on site and average time on page is a vital organic ranking factor in 2018, and will continue to be in the future. Why is time on site so important? Google is analyzing how long people stick around once they land on your site. Google wants to understand how users are interacting with your content, and time is a strong indicator. Let’s say your time on site is around 30 seconds. This tells Google that users are not finding your site’s content engaging or informative to fulfill searcher’s intent. This may lead to poor rankings. How long do you need users to stick around to increase organic rankings? Well, the average time on site is about three minutes. If your time on site is below two minutes, you may want to make some content and user experience tweaks to increase time on site. How Do I Improve Time On Site? In order to increase time on site to get within the three-minute window for improved ranking, you will need to pair easy-to-digest content with high-quality, engaging, and actionable information. Once you have users on your page for longer durations of time, you can examine how you can direct them to other pages on your site to increase pages per session. Why are pages per session important for ranking? When users land on your site and poke around for more content, it signals to search engines that people find your content valuable and your site easy to navigate. Anything over two pages per session is good to aim for. However, this metric needs to be examined with other analytics as well. For instance, if your average page per session is three but time on page is low, rankings may be compromised. How Do I Increase Pages Per Session? Navigation and quality of content is once again important when it comes to increasing pages per session. Users want to navigate a site without issue, and leading your audience in a strategic way is important. 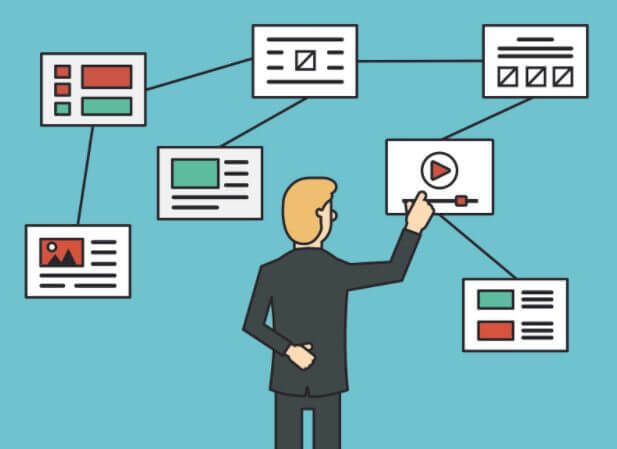 Linking related blogs covering the same topic can create a call to action for a user to click in search of more information about the topic.This leads users to explore more pages on your site, since they landed on a page for a specific reason, they can continue their journey. You want to lead them to pages they will find just as useful to keep them from bouncing off your pages and site. This brings time on page, pages per session, and bounce rate together for an organic ranking trifecta. Users found your site, they are spending time looking through your content and visiting multiple pages. Now it’s to focus on keeping them from jumping ship. How do search engines like Google understand bounce rate? The percentage you see in Google Analytics is the percentage of single page visits, and is used as an engagement signal. If bounce rate is high, search engines understand that users are bouncing from your site quickly after landing on it. This is bad for your site’s visibility. 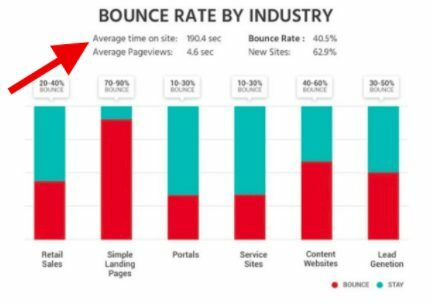 Page load time, content quality, UI, and UX are factors impacting bounce rate. What is a good average bounce rate to aim for? 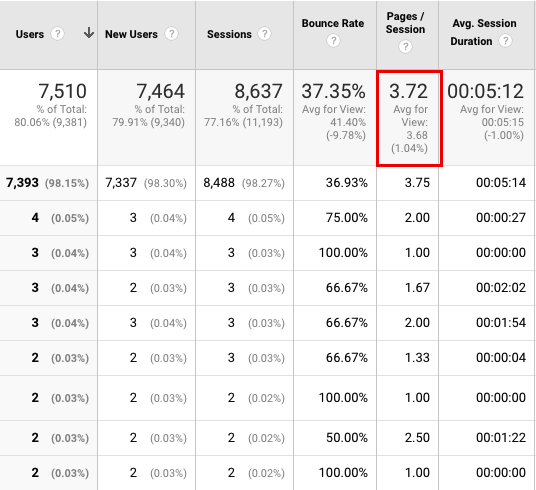 Unfortunately, the average bounce rate is hard to pin down. The average can range from 35 percent to 65 percent. Most industries, however, have a bounce rate of about 40 percent. 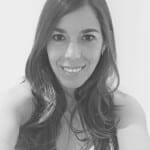 How Do I Decrease Bounce Rate? When focusing on decreasing your bounce rate percentage, you can employ a few SEO hacks. Deep Linking: Try to link pages to relevant pages within your content to increase pages per session. Implement Side Bars: Side bars, or widgets, have links to trending content, useful pages on your site, videos, and more. Get More Visual: Adding visual elements to your site, like videos, can improve your user engagement. For example, pair content with a video on the same topic. Tweak Pages with High Bounce Rates: Want to lower your bounce rate percentage? Identify and fix pages with high bounce rates to bring your site’s overall rate down. Increasing direct traffic, time on-site, and page views per session while decreasing bounce rate is an SEO recipe for powerful organic ranking growth. One theme all these top ranking factors have in common is an enhanced user experience. Developing quality content that is actionable, serving up engaging visuals, and making it all easy to find on-site are all important factors that play into your optimization efforts in 2018. Once all the above SEO hacks are in place ranking higher, and staying there, will become effortless once all of these SEO hacks are in place.